The trend of this listening session is the return of fondly remembered voices. Greeting us with comeback records are Grand Ole Opry members Trisha Yearwood, Hal Ketchum and the duet team of Ricky Skaggs & Sharon White. Welcome all three of them with your arms wide open, because they all sound simply sensational. So much so, that I’m splitting the Disc of the Day award into three parts. Our Male Vocalist winner is Hal Ketchum. 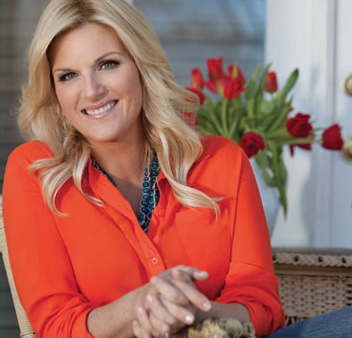 Our Female Vocalist winner is Trisha Yearwood (with some harmony help from Kelly Clarkson). Our Vocal Duo winners are Ricky Skaggs & Sharon White. The DisCovery Award goes to lead singer Taylor Cain and her younger harmonizing sister Madison and baby brother Logan, who are billed as The Cains Trio. -Bluesy, rhythmic and completely captivating. The rockabilly groove is spiced with acoustic passages and quasi-shouted vocal moments. Feisty females on the rampage. -The good-time groove never lets up for a second. There’s not much of a melody, and like so much of today’s country, it repeats its title and chorus hook over and over the way pop songs do, rather than developing a sustained lyric. -Despite being named the CMA Duo of the Year in 1987, these two have never recorded a duet album until now. Their Hearts Like Ours CD will drop on Sept. 30, but this track is available now as a download. It is a fantastically catchy bopper with a dandy electric-guitar twang. Both of them are singing splendidly, the production is as hooky as can be and the song has hit written on it. Play and believe. -These three Alabama siblings have a sweet, sunny, soothing sound. There’s a gentle, folk-y quality to this clean, clear production, and the song has a lovely, lilting melody. Ear tickling. -Goosebumps and thrills. Yearwood has one of those voices that shakes me right down to my core, and she nails this soaring rocker to the wall. That Clarkson’s soprano harmony can shadow her note for spectacular note is a sure sign that you are in the presence of singing royalty. -She sings well, the song is well constructed, and the steel-guitar work is exemplary. But the rhythm section drags like it is walking through molasses. -This laid-back drinking song feels as mellow as a booze buzz at sundown. Recommended. -The title tune of Hal’s comeback CD is a rollicking, r&b-flavored statement of purpose. Love the shave-and-a-haircut backbeat, the organ flourishes and his drawled, saucy, soulman delivery. This thing cooks with gas. -This singer-songwriter has apparently been around for awhile, but I believe the new Be Many Gone collection is my first hearing of her. It kicks off with this plain-spoken, mid-tempo ditty. It’s probably not “produced” enough for country radio, but Americana programmers might want to give her spare sound a spin. -The group is an Irish country outfit whose previous records have picked up airplay in Canada, Britain and the U.S., as well as its homeland. This pleading, heartfelt ballad has a lustrous, layered, dreamy instrumental arrangement that is extremely pleasing. I’ve liked these guys before. I wish they’d send me a whole album one of these days.